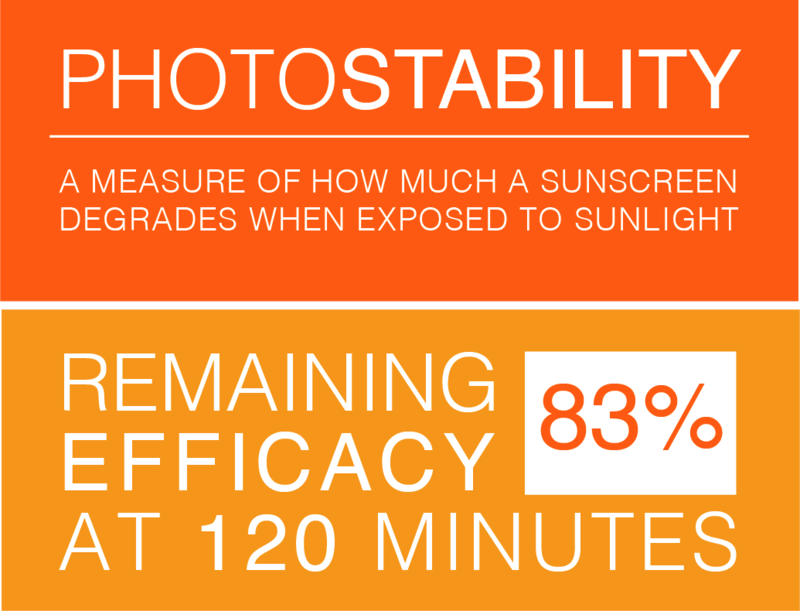 New voluntary photo-stability sunscreen labelling announced. The under-reported photo-stability aspect of sunscreens is to get greater prominence on-pack with a rating system proposed by London-based skincare company Aethic. Photo-stability indicates how quickly a sun filter degrades when exposed to sun light. 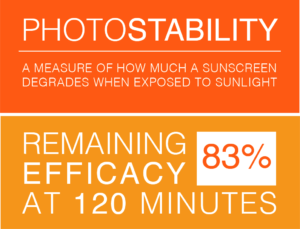 Photo-unstable filters degrade quickly leaving skin vulnerable to burning and skin damage after a relatively short time, while photo-stable sun filters work better for longer. The proposed labelling system declares the remaining protective efficacy of sun filters after 120 minutes of sunlight exposure in constant laboratory conditions. Obligatory SPF ratings, which relate to UVB protection only, are useful, however they do not convey a complete picture. UVA protection is equally important as is a product being water-proof and actually staying on. Yet none of this matters if the active ingredients, the UV filters themselves, are degrading too fast. While scientists working on sun protection regularly research and report on the photo-stability of ingredients, the consumer has seldom had access to this important information when selecting which product to buy. N.B. The test result of 83% remaining efficacy after 120 minutes of constant laboratory sunlight exposure shown above, is only an example.